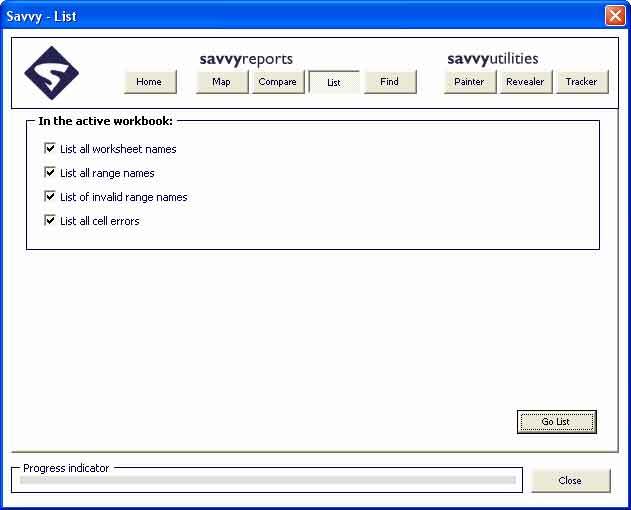 Savvy List : This tool produces a report that lists the key features of the model. These lists are designed to help the user understand the model and to spot common errors. The report will list all the worksheet names, all the Excel names, all the invalid Excel names and cells where the result is an error value. Example Scenario : "I have been doing some checks on a complex options pricing model and there are a few #Value errors, how can I find all the cells with error values? Manually searching would take forever - it's an enormous model!" 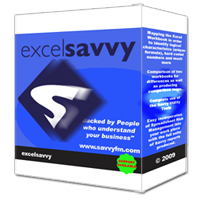 Savvy solution : "The answer is simple, use Savvy List on the model to list all the cells containing error values."